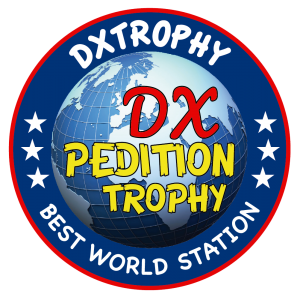 The EX0PL trip with amateur radio equipment announced action commemorating the 50th anniversary of „Abduction of Balthazar Sponge” fairy tale creation. The first episode of this fairy tale „Dragon Expedition” contains many ham radio accents (including CW communication). It was created at Bielskie Studio of Cartoon Films in 1969, and it’s action began in Cracow, that’s why the name and frame of EX0PL trip „From Cracostan to Kyrgyzstan” refered to characters and texts from the fairy tale. The main part of the project will start in May of 2019 when four amateur radio stations will be active on HF and VHF bands. Call signs will refer to fairy tale characters: Smok Wawelski (Wawel Castle Dragon), Baltazar Gąbka (Professor Balthazar Sponge) (will be transmitting from Cracow), Bartłomiej Bartolini (Bartholomew Bartolini – Dragon’s cook) and Don Pedro (mysterious spy from the land of raincoats) (from Bielsko-Biała). The event is intended to commemorate the late Stanisław Pagaczewski, author of the book „Abduction of Balthazar Sponge” and promote beautiful Polish cities: Bielsko-Biała and Cracow. The action will end by Dragon Expedition named “From Bielsko-Biała to Himalaya” planned in September 2019.